We are looking for the real racer. Are you one of them? Then choose this game and start the race. You must beat all your opponents as soon as possible and set the best record. Just have faith in yourself and we will be proud of you! Could you believe that? Just choose the color and model of car and here you can play several types of tracks. 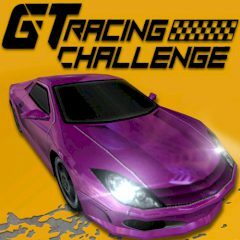 You race against the clock to get the best time awarded, and against opponents but you must not be in last place at the end of each of the four laps otherwise you are eliminated, and single racing mode is a race to the finish line against 4 opponents with 3 laps of the track selected and there is also normal racing mode where you have to win all races to be awarded with the best award. Ready? Then go!